My skin is certainly not flawless. It has many imperfections – dryness, sensitivity, whiteheads on my cheeks, discoloration, etc. While I haven’t been cursed with acne of any kind (thanks mom & dad! ), I have had serious issues finding products that not only protect and camouflage my skin, but also don’t irritate it. 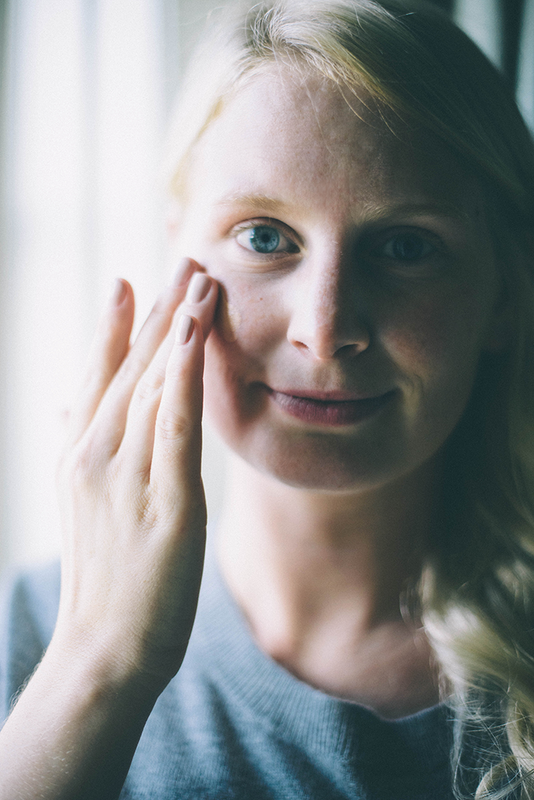 Often times beauty products are on either side of the spectrum – either for super oily and acne-prone skin or for super dry and sensitive skin, never anything in between. 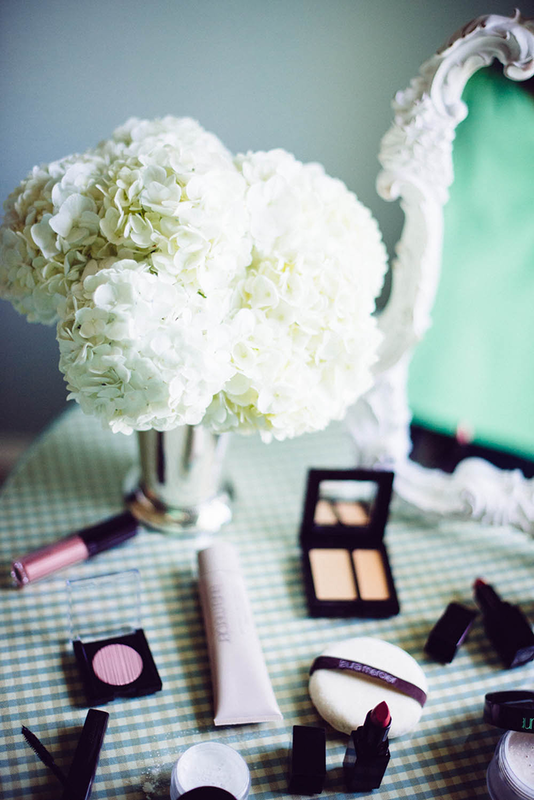 Somehow, Laura Mercier has managed to bridge the divide between the two! A few weeks ago I visited the Laura Mercier counter at Neiman Marcus and had the chance to get the 411 on the beauty brand. 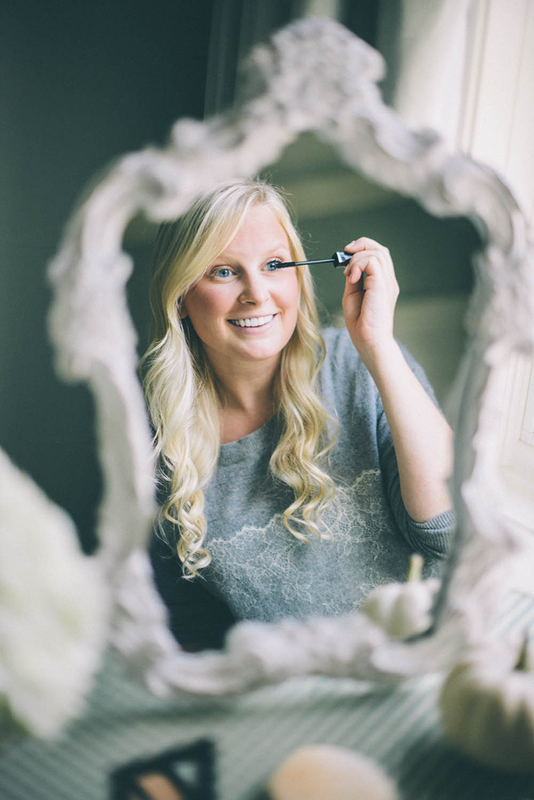 One of Laura’s mantras is you must begin with a flawless face before you can get flawless makeup results. 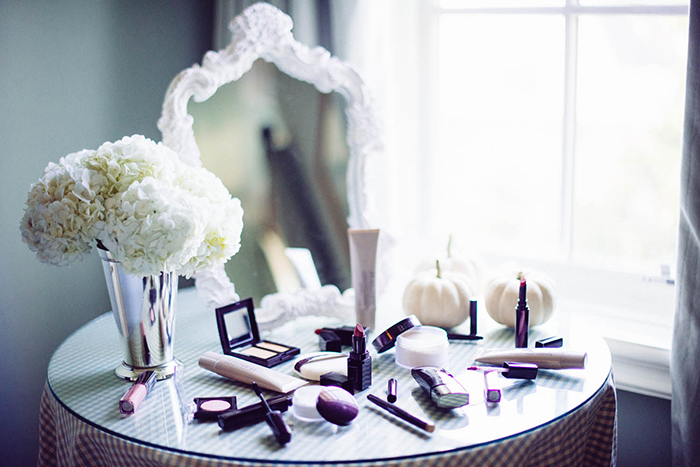 The products that achieve this flawless look are multi-purpose, which is great for your wallet (and your makeup bag)! 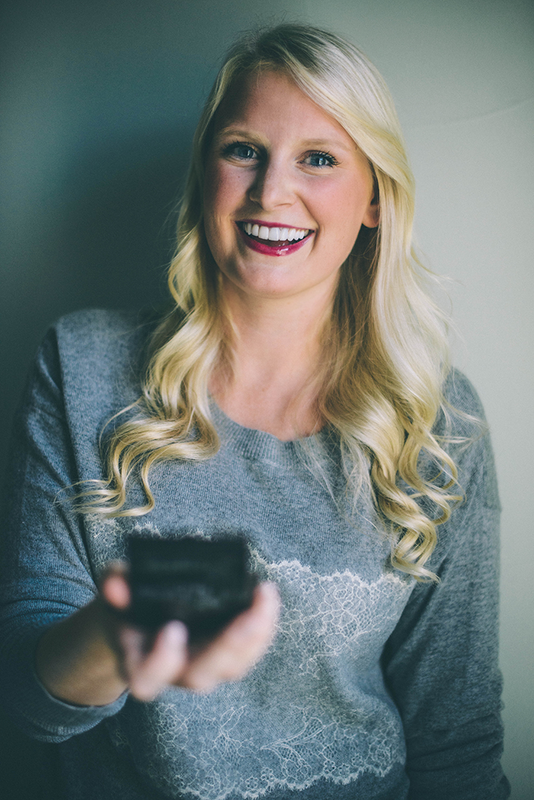 The foundation primer is a must-have; it keeps your skin moisturized while preventing your makeup from being absorbed into the skin (which is the main cause of breakouts) and keeps your makeup on all day! Next, apply the tinted moisturizer. 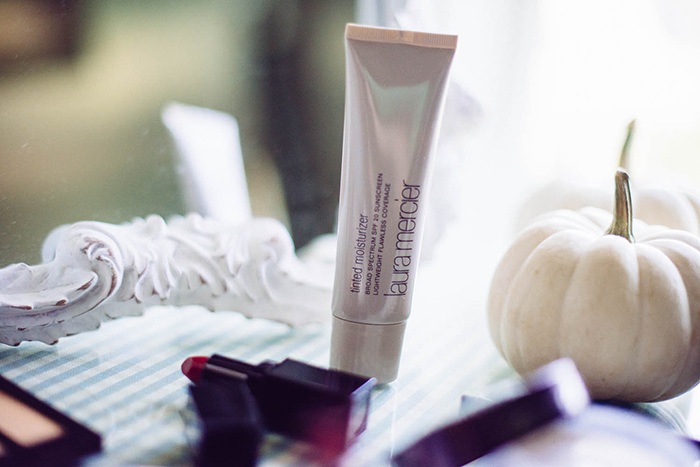 This moisturizer contains 20SPF and a very sheer tint for minimal coverage, ideal for all-day wear! Finally, top it off with a layer of the Flawless Fluide. This concoction is oil-free and hyper-pigmented, allowing you to use the tiniest amount and still receive full-coverage. It’s not not a thick product, but more of a thin veil over your imperfections. 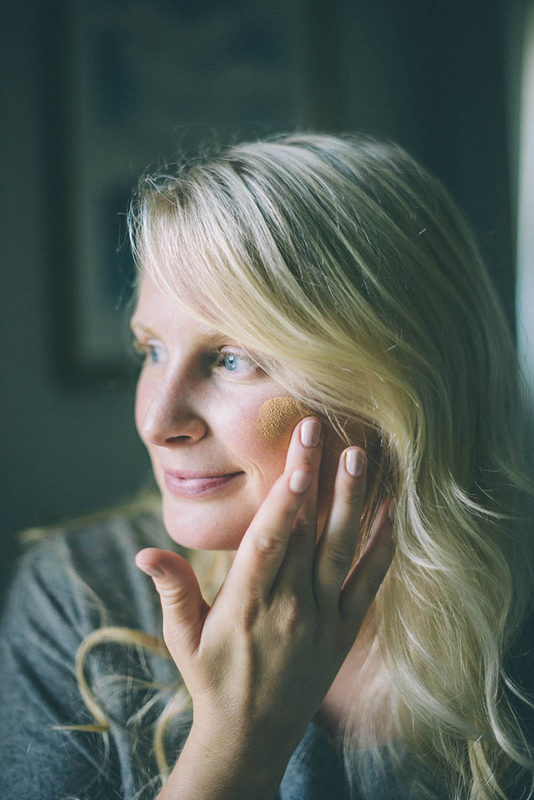 I’ve never been much of a foundation girl, simply because it looks cake-y and tends to amplify pore size and blemishes, but the Flawless Fluide is a miracle product. Trust me. A few other products that I bought while at Laura Mercier include the Secret Camouflage, the Caviar stick and the Lip Glacé. Before the Secret Camouflage I always used a liquid concealer vs a thick cream. I noticed that when trying to cover imperfections, the imperfections tend to stand out more because the concealer doesn’t blend properly, which ends up leaving a layer that emphasizes the blemish. Anyone else have that issue? The Secret Camouflage has actually changed my life. Because it is so pigmented, you only need to apply a minuscule amount and it will provide complete coverage for those little annoyances (even if your skin is dry or chapped)! It’s not meant to be used as an all-over agent because it’s so potent/powerful (for example, don’t use it for the black circles under your eyes), but it’s the ideal product for pimples, scars, and other unsightly blemishes. The Caviar stick is also a super pigmented eye color that can be worn solidly (full throttle) or blended (more subdued) – I picked it up in Gilded Gold. Such a fun, shimmery shade that takes your eye effortlessly from day to night with just one swipe! 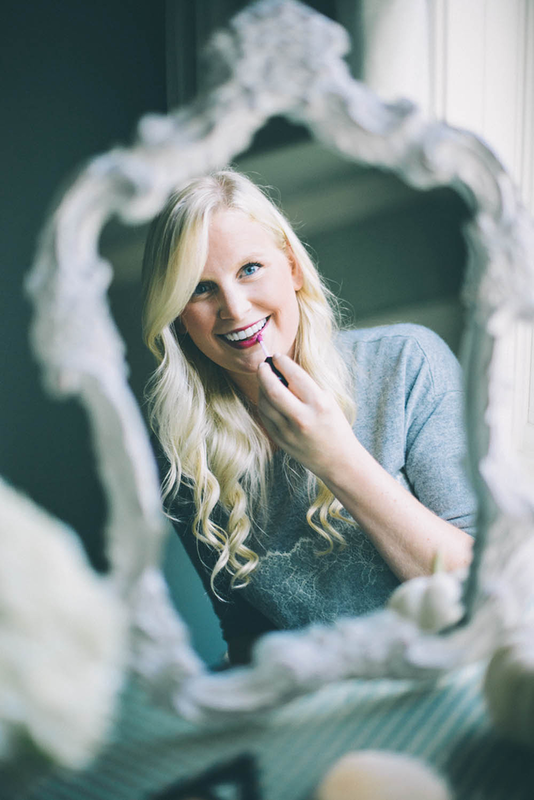 Finally, you can’t leave today’s post without checking out Laura’s Lip Glacé. I now own it in three colors: Azalea (a pale fuchsia-pink), Orchid (shade pictured above – perfect berry hue for fall! ), and Bare Baby (the lightest peachy pink). While the Lip Glacé is sheer, it is also hyper-pigmented. Add more layers for more intense color! 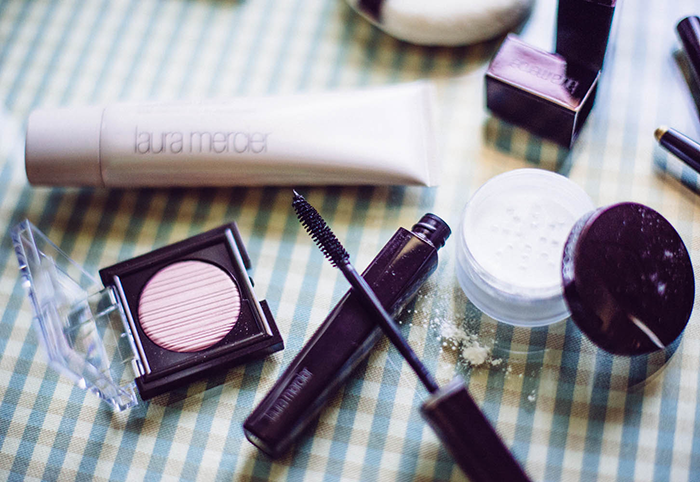 I’ve been really pleased with the array of products I came home with and would love to hear what you think about Laura Mercier’s collection – shop the items I used below! That lip color is so pretty! Laura Mercier is my favorite! Her shimmer blocks have been my go to for forever. Love Laura Mercier! I’ve been meaning to pick up the secret concealer, do you find that it creases? I’ve been looking for a new foundation! May need to try this..! 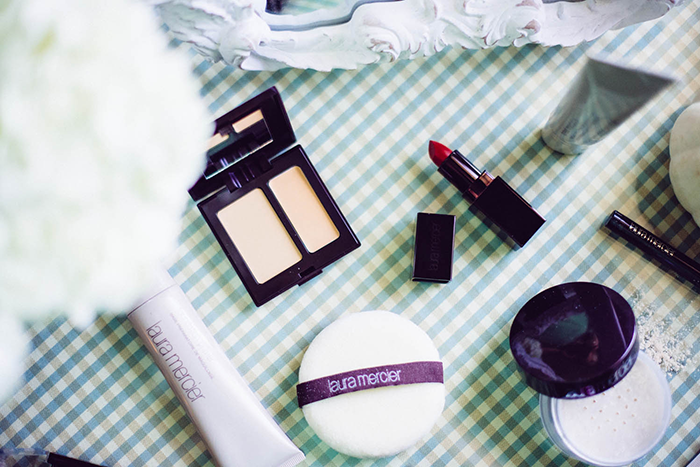 Love Laura Mercier especially the tinted moisturizer, it’s the perfect light weight makeup! fun post! you look gorgeous with and without make up! Love the lip color on you. Laura Mercier products are awesome. I like Gurtwich products. Laura Mercier is the first brand of makeup I’ve ever used and I’ve never strayed. Her tinted moisturizer is beautiful and perfect for a natural look! I’m just so bummed Secret Camouflage doesn’t come in a shade fit for my skin tone. I love how comfortable her lip gloss is too! What non-flawless skin? You look great with and without the make-up! Laura Mercier is my favorite make up brand. I have such sensitive skin and her formulas are so gentle! 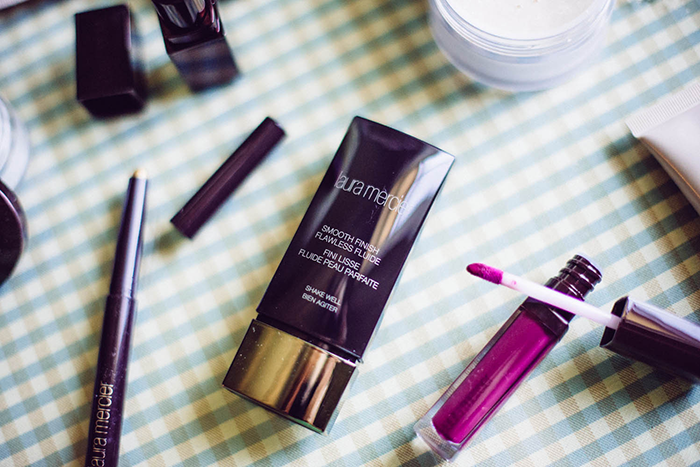 I can’t live without my radiance primer! I love Laura Mercier, I’m actually talking about my favorite tinted moisturizers on the blog tomorrow and it included a Laura Mercier one. :) That lip color looks amazing on you. Such beautiful pics and honestly? Your skin looks pretty flawless to me! I’ve been suffering from the WORST hormonal breakouts lately and I’ve heard wonderful things about Laura Mercier, after this I might just have to bite the bullet! 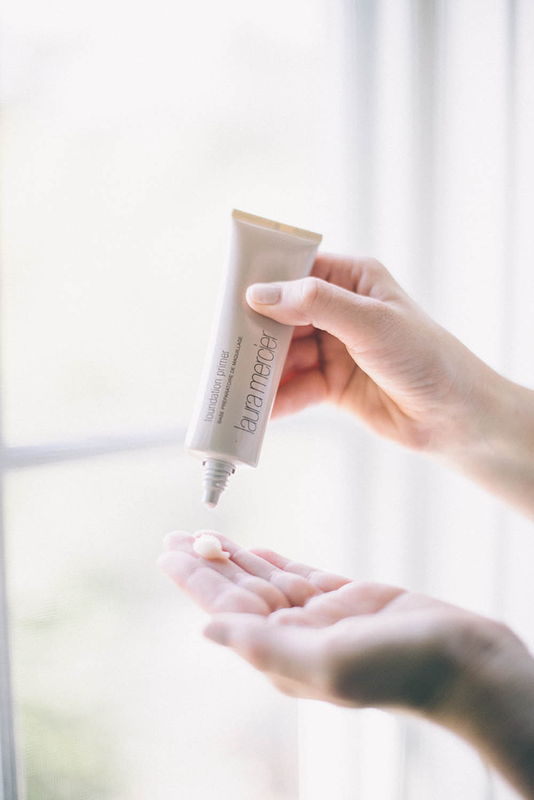 I love my Laura Mercier tinted moisturizer – I just started using it! I neeeed to try the Secret Camouflage, too. Definitely at the top of my list!